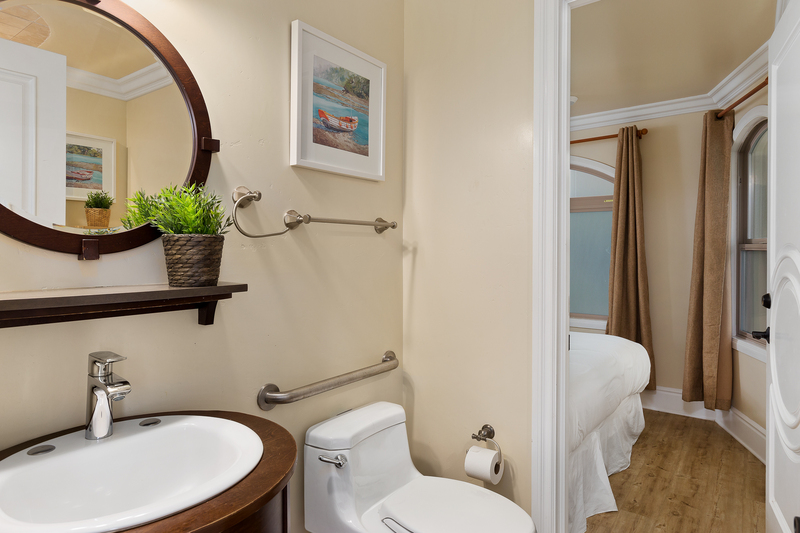 We have a large family (15) and needed plenty of bedrooms/bathrooms for everyone! 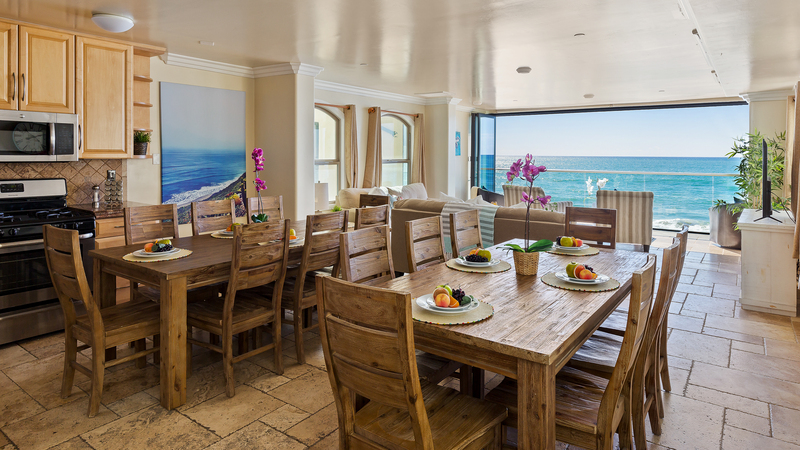 This beachfront retreat was perfect for us! 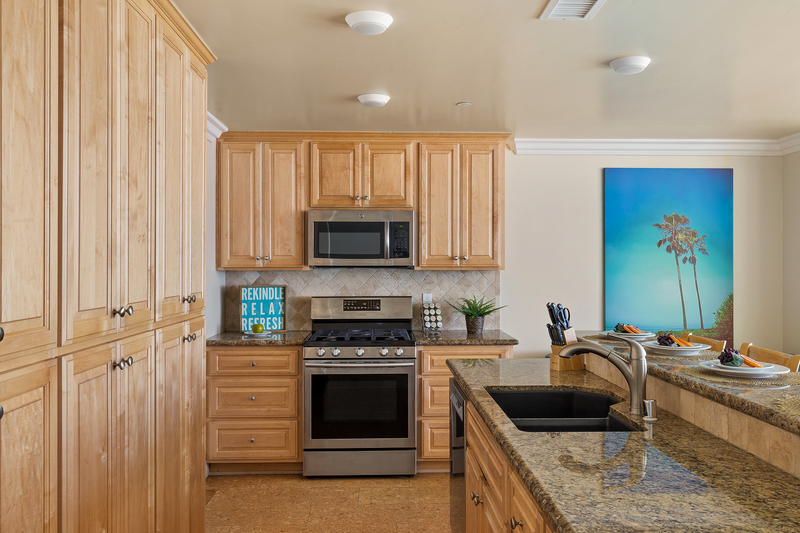 Two kitchens, plenty of beautiful views on each floor, and steps away to walking on the beach! *Note no garbage disposal in either kitchen. 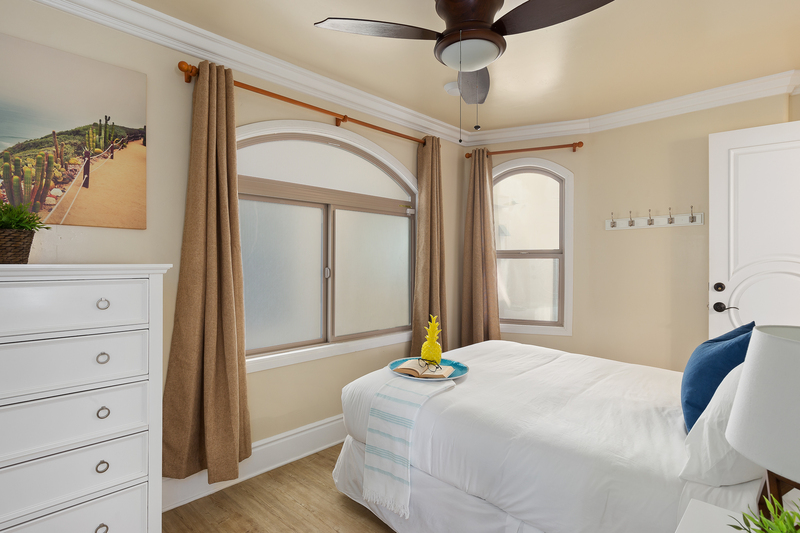 It is well maintained, and Beachfront Only offered superb services! Not only in communicating before our arrival, but were quite gracious with our requests for further services after arrival! 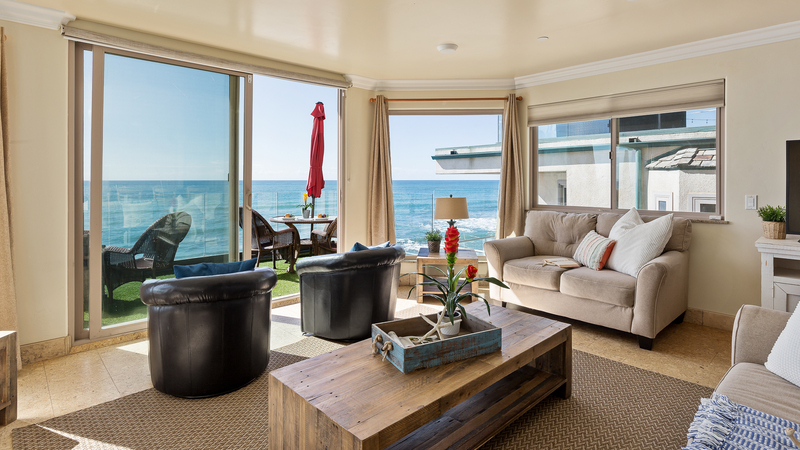 We highly highly recommend BeachFront Only Vacation Rentals - Rachel and Nanci were awesome!!! During our stay we went to LegoLand and the San Diego Zoo - great area, with plenty of activities for your family to enjoy! ***** Five stars! Thank you BFOVR for a great experience!! The unit was well prepared, clean and a great location - the waves are so close and so loud - which was terrific. Parking on the street wasn't too bad. Lots of space for multiple groups of people wanting to do different things. I would come back to this house again. 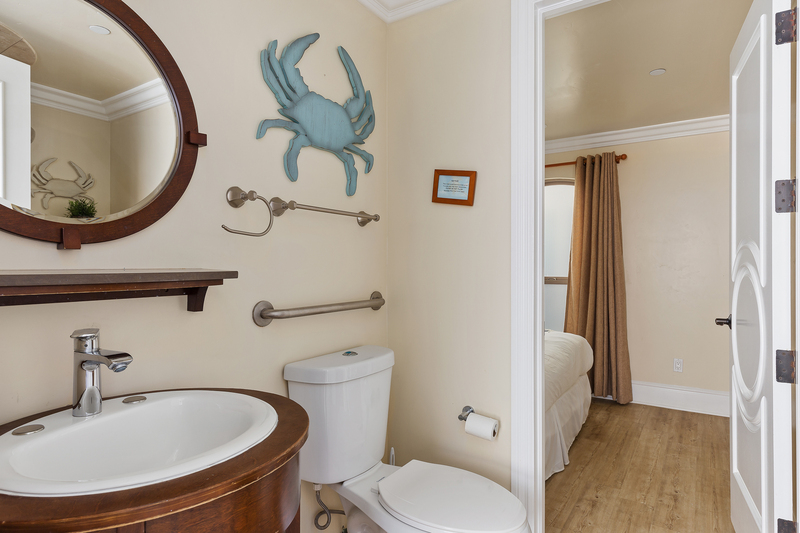 Beautiful, clean, comfortable, and right on the water's edge with walking distance to the pier and the town. We had a great time at this rental. We had 23 in our party and fit comfortably. Our only drawback was that the pull out beds in the couches aren’t very comfortable, so they ended up just sleeping on the couch instead. The kitchen was well stocked with pots and pans and other things needed for cooking. The unit was very clean. The best part was the ocean views...spectacular! The weather was perfect, the house comfortable though it was strange having the grill on the top floor and the kitchen on bottom. We had a family reunion for 85 people and rented 5 of the beachfront condos. It turned out to be the perfect venue for us. Each family had the convenience of their own condo--yet we could all gather on the rooftop of the 4 plex to be together. 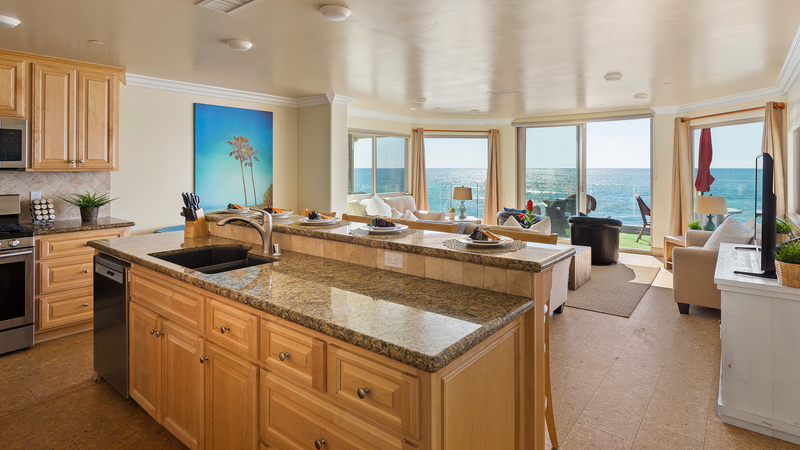 The condos were beautiful and very clean and each had a spectacular view of the ocean. We did have frustrations getting the right codes for the gates and doors to the four plex. We downloaded the app and received codes but because we had 2 reservations it only gave the codes for one condo--not the 4 plex so everyone in the 4 plex was trying to get in with the wrong codes. It took us a while to figure this out. Also the amenities listed laundry soap, but one condo did not have any. The single condo was suppose to have enough towels for people sleeping on the window seats but did not, so we were short. My other frustration was communication with the management. I appreciate that they were quick to respond and always very patient with my questions, but I would be told something by one person and later told something different by someone else. I appreciated that they made good on the promise I was given that we could have extra tables and chairs on the rooftop--even though a later person told me we weren't suppose to have them.All in all it turned out to be a wonderful family reunion and many family members want to return to Oceanside. We had a magical time in this beautiful home. I would recommend it for large groups who want something clean, well equipped, and with outstanding views. Family Getaway for Grampas 80th! Family vacation and birthday celebration was wonderful! Everyone had fun - from our 7 year old to our birthday boy that tuned 80! Amazing property! This was our second stay here. Our family has older grandchildren & younger ones as well, age range 2 weeks to 22 years old, the beach was perfect for every one. The house was clean & very comfortable. The kitchen was well stocked. Your maintainence people were good to come & take care of problems. We enjoyed our stay. This vacation home is luxurious and spacious. 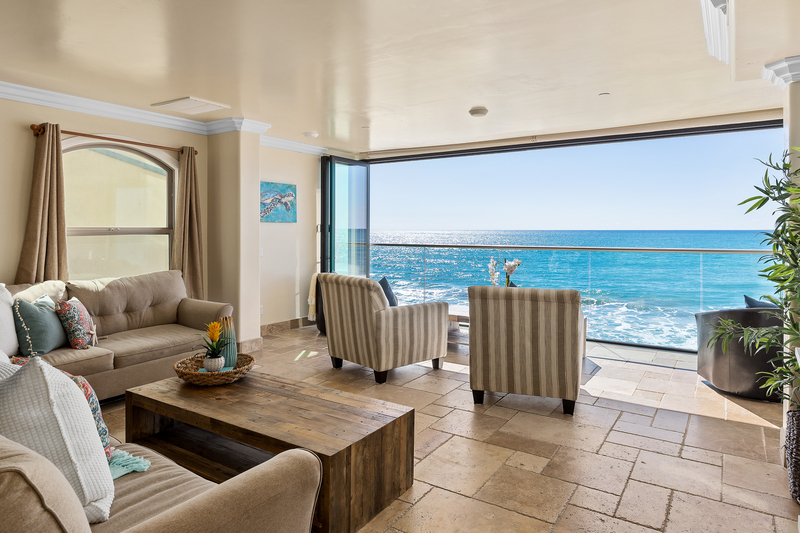 The views are spectacular, with crashing surf, dolphin sightings and glorious sunsets. The beach was a short walk away, and the pier was close enough for a stroll. Our large family found the home comfortable. We had staff retreat and it was absolutely beautiful and the ocean view was amazing~~ Everybody just wanted to stay longer and thank you for wonderful opportunity to stay there. The balcony on second floor was very small, 5-6 people could use it at a time. First floor didn't have a balcony and was a little bit claustrophobic. The balcony on the third floor was used by the person who got the master suite, so it was not a plus for the whole group. The street side patio was also nice, we used it to do BBQ. 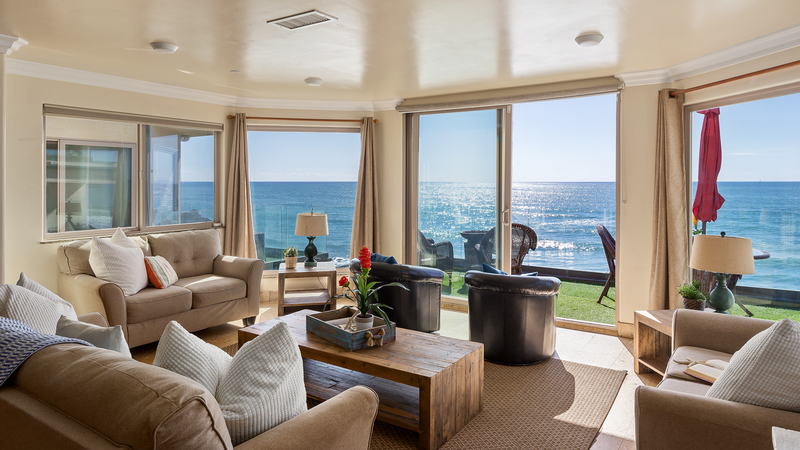 The sound of ocean and views from the living room was beautiful and the breeze was refreshing. It felt like staying in a small beach front condo. very close to Oceanside town where we took walks and rented bicycles. Night time took walks on the beach and many people were collecting shell fish using theirs flashlights. Did not have any problems at this property. I would say it was a comfortable stay. Only issue was activating the heat function the last two days/nite of our stay...the weather tuned chilly enough for a need for heat, all doors/windows were checked to be secure but we could not get the heat to function at the thermostat. The beach access was a little further then I had hoped. But was still within walking distance. Our family if 16 had a fabulous vacation this week. The pictures don't do it justice. It was equipped with everything we needed to cook family-sized meals. The maintenance crew was quick and very helpful in fixing minor requests for repair. Property was amazing and was everything we were hoping for. View was spectacular. We have been vacationing at the beachfront for several years now, and we love it. 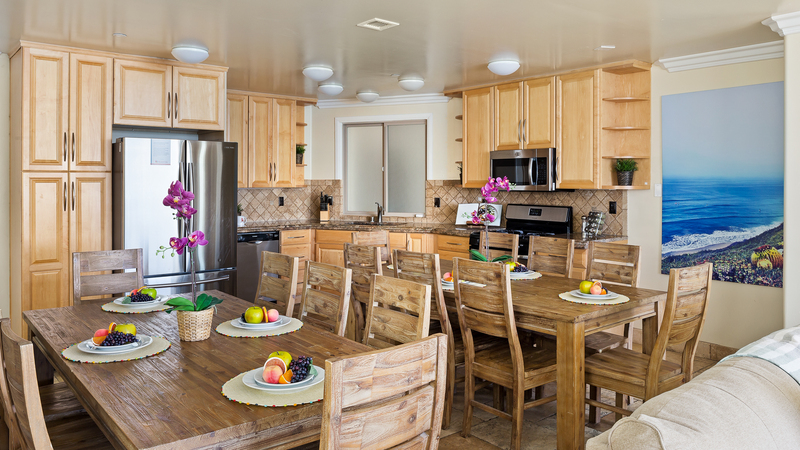 We were happy to have so many units close together because it easily accommodated our large family. The only downside about our visit this year was not having beach access just outside. This property is perfect! We come back every year and no one wants to leave! We found the accommodations to be excellent. 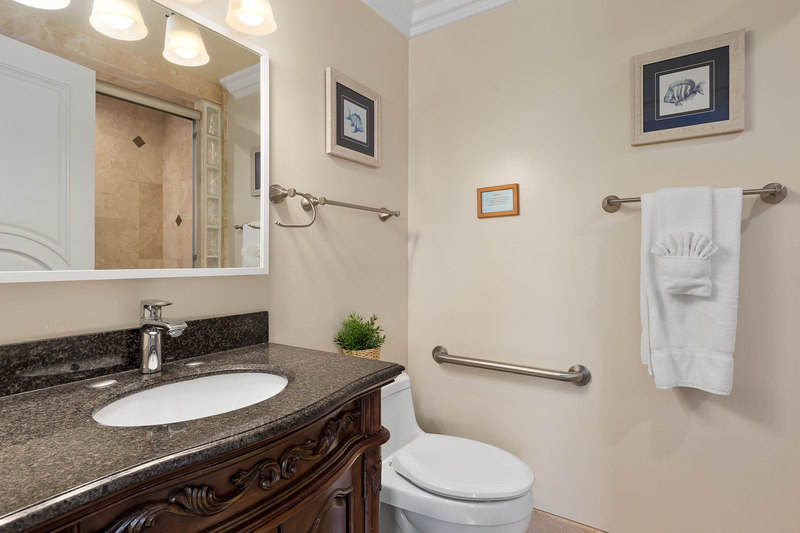 We utilized three floors and every bedroom and bath were very clean and well kept. The kitchen areas on two of the floors were also very clean and well stocked with all of the utensils needed to prepare meals. My children and grandchildren (all ten of them) thoroughly enjoyed their stay. The only drawback to the location of the property was the fact that we had to walk a great distance north to find a sandy beach. Also, the fire alarm/gas detector system going bonkers got a little annoying, but the response to our calls for help were exceptional. The service personnel were prompt in correcting the problem and very courteous. My better half is already discussing a return trip next October. The best trip ever. Our family is close and we have a lot of times when we get together. The stay at the Beachfront Only beach home was wonderful. 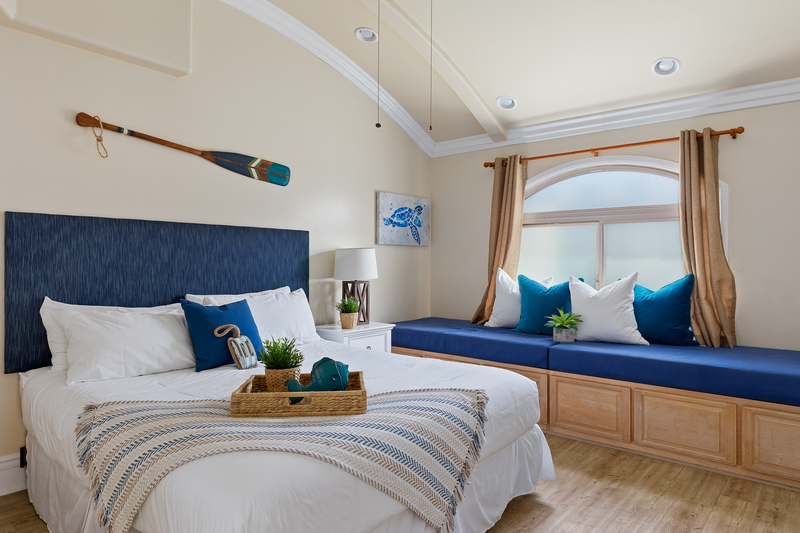 The Beachhouse accommodated a large group with the ability to provide private times and the ability to allow us to gather together as a family. The facility was phenomenal the views were perfect. It was easy to get to and the beach was the perfect spot for our family with children starting at 3 years old and up to older adults. We were very satisfied with our stay. Overall, we had an unforgettable weekend. I would definitely recommend BeachFront Only and use them again in the future. Great location close to restraunts and shopping. There was a wedding reception next door and we didn't hear them. 10 adults and 4 kids had the most incredible weekend of our lives. The house was a fantasy come true. We did not want to come back to reality. We hope to go every year now!! An amazing home, with a beautiful view! A special place to make family memories! Overall we loved our stay - great location and the layout worked for our families to be together yet have our own space... However - the spa never worked well (got warm at best) and the location over one of the bedrooms meant those below kept hearing the motor work on and off the entire night, and the ice maker stopped working. Ice maker was no deal breaker - we went out and bought some - but spa not working put a significant downside to being able to relax. It was what we all decided we wanted when looking for a rental! 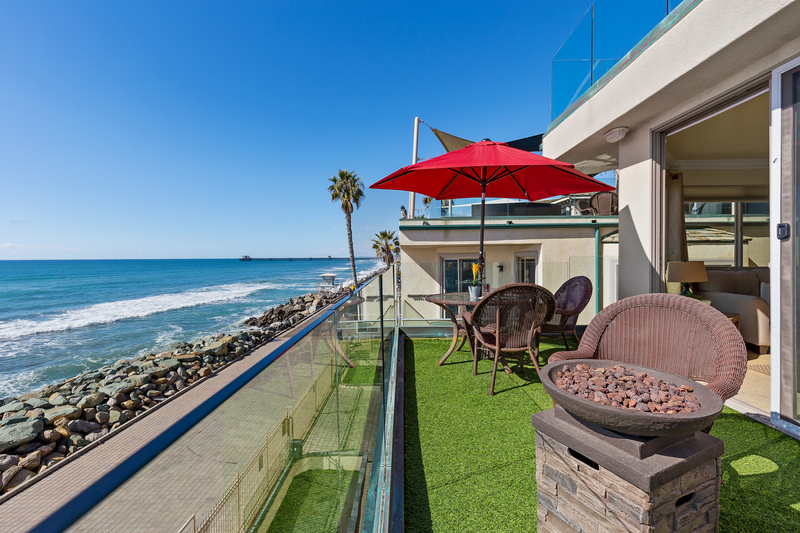 Three families, consisting of 7 adults and 6 children, ages 8-13, stayed in this lovely 5 bedroom and 5 bathroom house directly on the beach in Oceanside, CA. It was wonderful, we all agreed. There were endless possibilities for activities within a 40 mile radius. The location was terrific. We couldn't have asked for more from the rental staff, the location, and the property. We all thank you, Beachfront Only! Outstanding in all respects! Staff was very helpful, courteous and prompt. They actually prevented problems thru a careful inspection. Best we have observed. Thanks! This was a first class rental that exceeded our expectations. 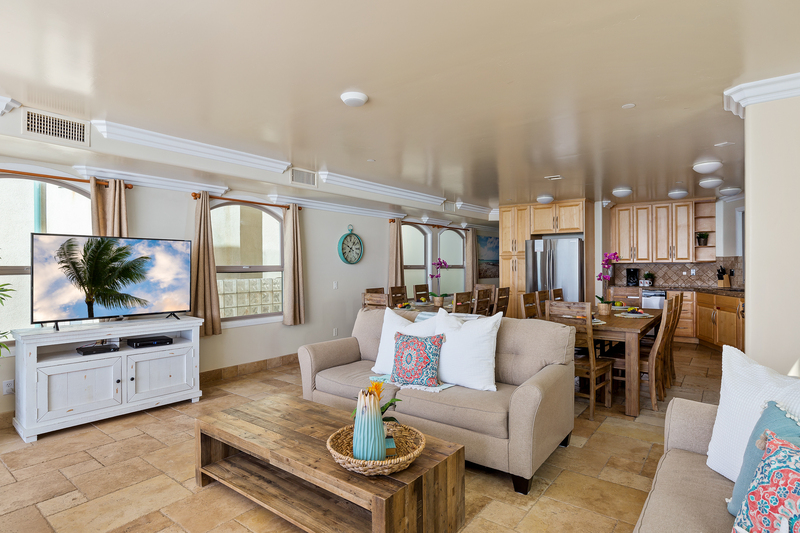 Right on the beach, spacious with plenty of room for ten people, all amenities. We hope to be able to go back soon. The house could not have been any better. It was beautiful with a breath taking view, clean and stocked with anything we could have possibly needed. My family and I enjoyed our stay tremendously and can't wait to return. The staff went above and beyond in accomodating our special request and we could not be more pleased! We had a wonderful time, we regretted that the tide gushed up so fast to erode the sand but all in all it was perfect, the boys surfed and surfed and surfed. The TV was hardly ever on. We left a puzzle for the next guests and gave the people below some sand toys and a pail to rinse their feet before entering (strongly recommend). We loved it! I am disappointed at $700.00 a night that your company refuses to restock the bathroom tissue. That seems very rediculous. We had a great time. Everything was great. In the pictures it showed rocks but not as many and it showed a beach right out front. This was missleading. There were a lot of rocks and no beach. Still a wonderful view. I wish the picture would have been taken from the Window of the house. It was clear they were not. Also we had ants. We had to go to the store and buy plastic tubs to put our food in. It was sad because the kitchen and pantry are so wonderful. We kept the place very clean andstill had ant issues. They would bite us as we played games at night. Over all we had a great time and plan to stay there again. We just hope not to have ants. It was wonderful. Our only issue had to do with the heat wave we had...and no air conditioning. Thankfully it cooled off at night and we had fans. We took our daughter and her family to stay at this wonderful place. They called it "The Villa." The grandkids had enough room to play and going to the beach was a snap. The hot tub was great except it didn't look out on the ocean and was only big enough for 4 people. I would highly recommend this unit! This was our second time to stay in this unit, and our vacation was perfect. 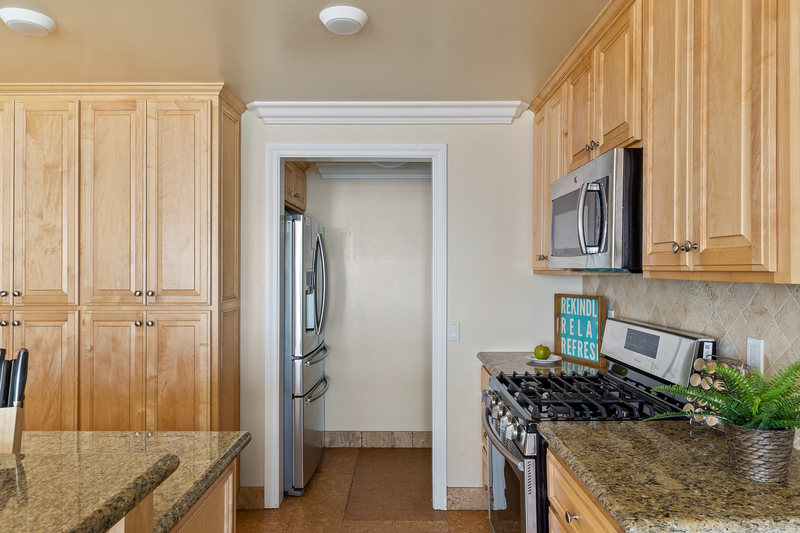 The communal space is perfect for cooking, eating, and hanging out, and the five bedrooms with baths are perfect for privacy. We had eleven in our party: three couples, three teens, and two toddlers and the space worked out well. The teens loved the beachfront walk to Ruby's at the end of the peer, and the toddlers liked their stroller rides the length of the Strand and the playgrounds along the way. All loved the Thursday night Oceanside street fair. And we all loved viewing the ocean right in front of us with its crashing waves, early morning surfers,and two sightings of happy dolphins. And my husband, "Grandpa", delighted in boogie boarding with all the kids and grandkids. And the easy Coaster ride into Old Town and San Diego got us to fun events in those areas. A few of us even took public transportaion (bus and Coaster) from San Diego airport, avoiding renting another vehicle when arrival times from three different states did not conincide. I have no hesitation in recommending this spot! Several things made a return visit not possible. We had 5 bedrooms meaning at least 10 guests and the rooftop was completely unacceptable. Big umbrellas downstairs, one measly and small table. Beach access also not acceptable. Won't be back to this unit specially at this price. excellent. beyond my expectations. the sense is that mgmt company really cares about what they do and ultimately provide an excellent customer experience. top notch. thank you. Thank you for your feedback. Beachfront Only does manage other properties that are not on this block. 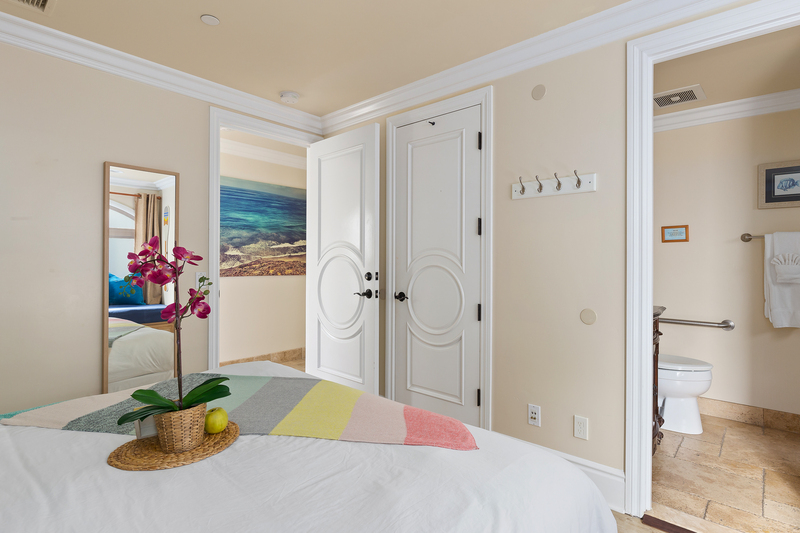 We strive to match guests with the perfect property for their needs. 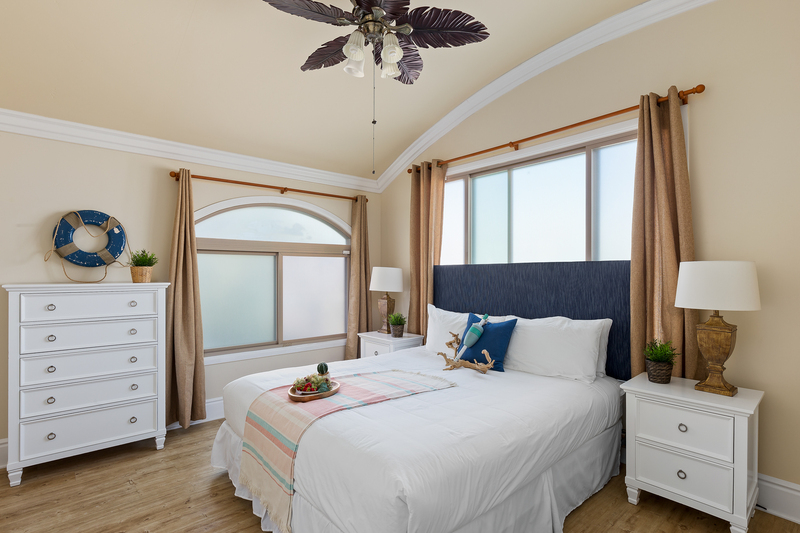 Should a master bedroom with an ocean view be what you are looking for, we do have homes available that fit that criteria and our representatives would be happy to assist you in finding one. 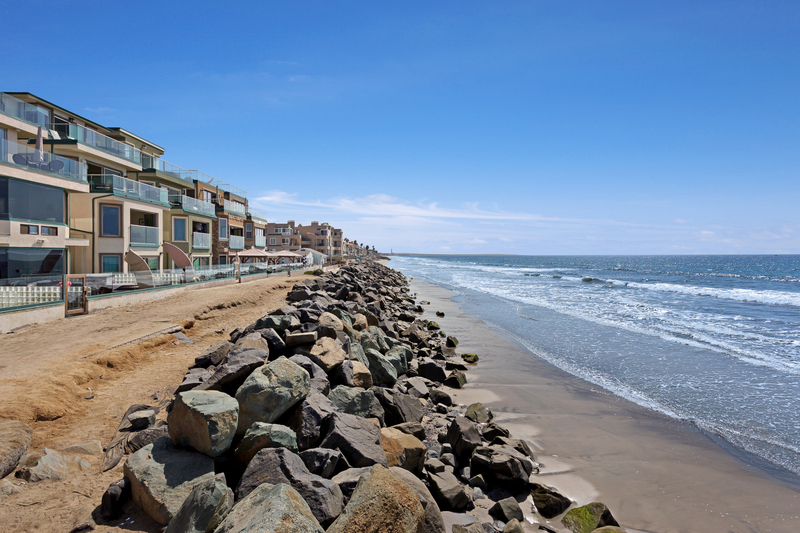 Most properties you find on the beach will be close to another home, as real estate near the ocean is very limited. ~ The team at Beachfront Only. 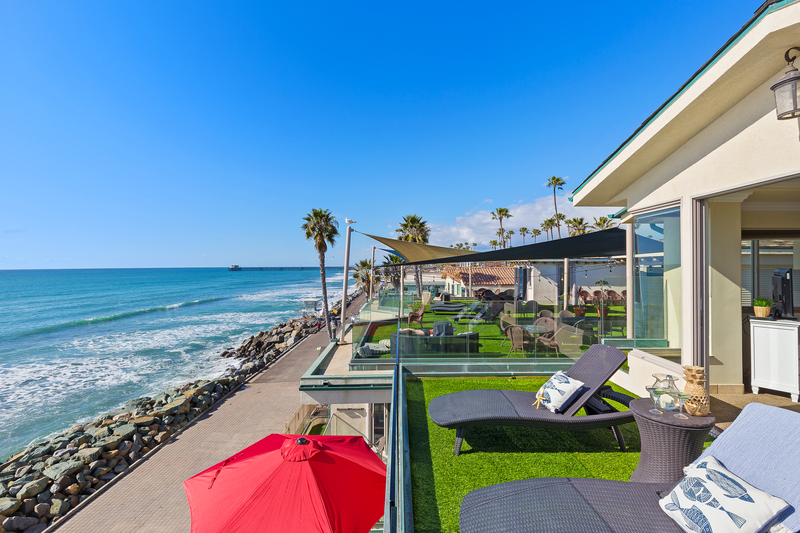 WE LOVED OUR STAY IN OCEANSIDE!!! It exceeded our expections in all aspects!!! The alarm went off one evening and took us almost 45 minutes to figure out how to silence. Unfortunately, there was no one at the after hours contact number to ask for help. Fortunately, we have a similar security system at home and figured out the code after numerous attempts. We were sorry to hear about the alarm. We do have an emergency phone number that is manned 24 hours/day. We have a maintence tech who lives onsite and could have taken care of that problem for you. The phone numbers were in your inforamiton packet and in the frame by the house phone. It was unsessonably hot and we can provide extra fans and some portable air conditioners. Thank you for your feedback! 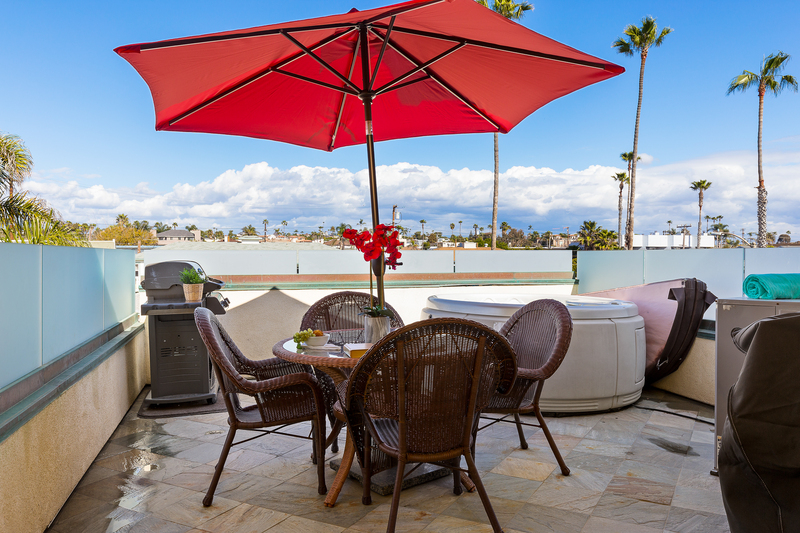 This is a great location with plenty of space that is right on the ocean. Beachfront Only was really easy to work with and their App was helpful. They thought of everything we may need - dish detergent, paper towels, soap, tissues, laundry detergent. It was all there waiting for us. Our only concern was the lack of air conditioning. They were starting construction on these units during our last couple days so it will be interesting to see what they are doing. It was an unforgettable vacation for my whole family in so many ways. We would love to come back again next year! Everything was perfect! Very clean and had everything we needed. The view of the ocean was breathtaking. A great way to celebrate our 50th anniversary with our family. Would recomend it to anyone. 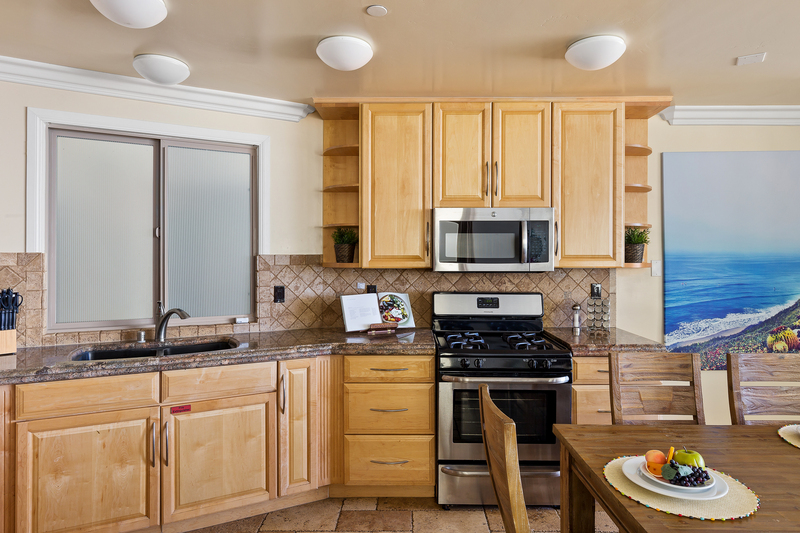 Beautiful interior, 2 great kitchen areas with everything you could want. Very comfy beds. Enjoyed the Jacuzzi-Beach view gorgeous. 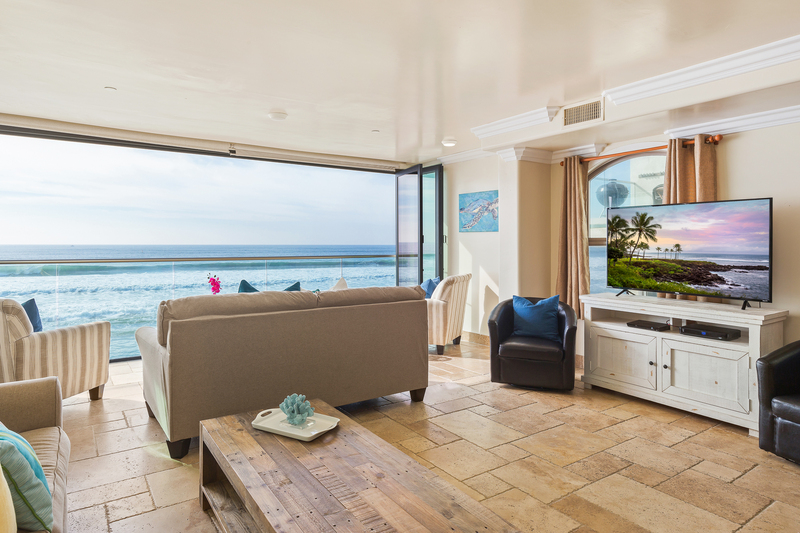 A stunning property (811-A Pacific)with all the amenities. 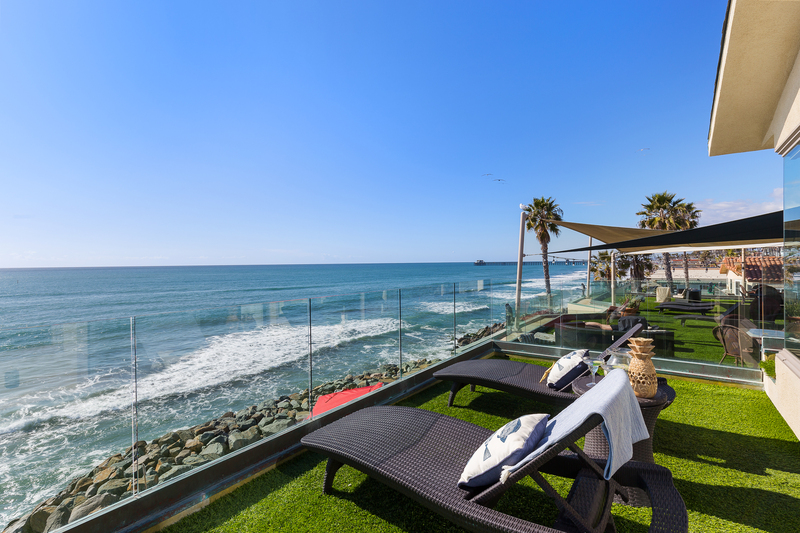 The week my family spent at this Oceanside beauty left an inmpression that will be remembered for a lifetime. We have a large family, and has always had difficulty finding something that was not a bit cramped in space and lacked a few bathrooms. 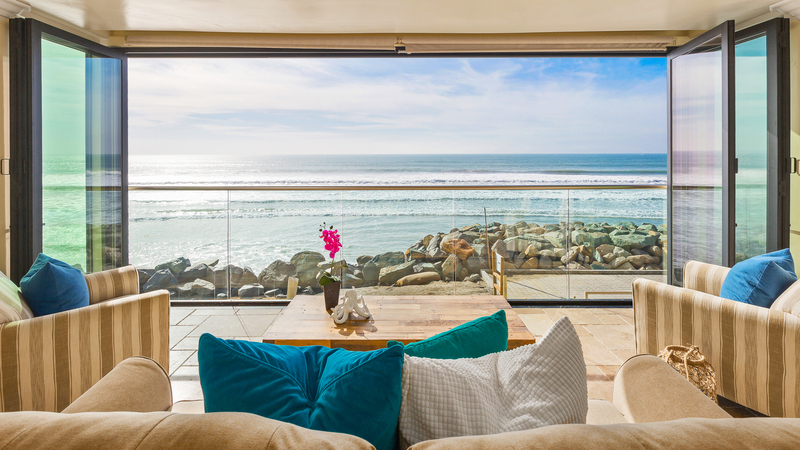 There has always been something lacking in a house that is "right on" the beach. We have been to many different beach properties over the past 20 years, and have had a great time wherever we were. 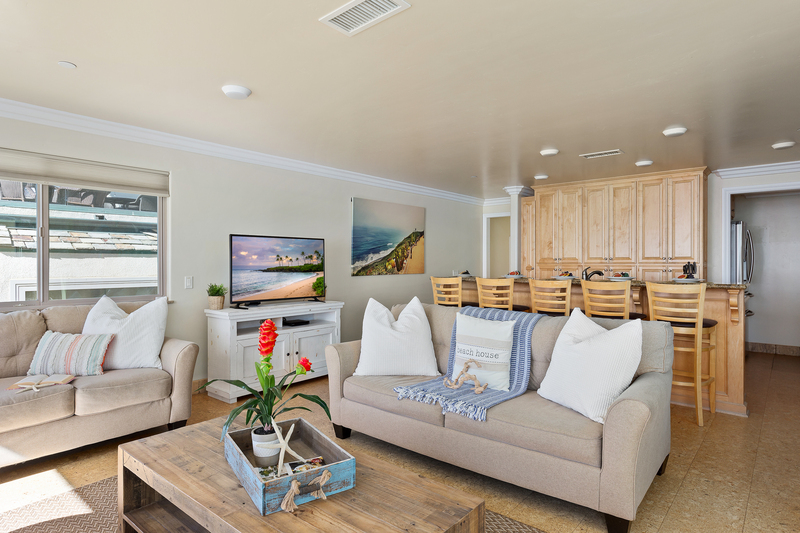 Although we loved the previous property through you in Encinitas, it was a bit of a walk down the switchback to the beach for the little ones we have. We have been to other locations where we could step out onto the beach from the house, but the beach would be very rocky with surf that broke right on the beach. This was frequently a danger to the smaller children. 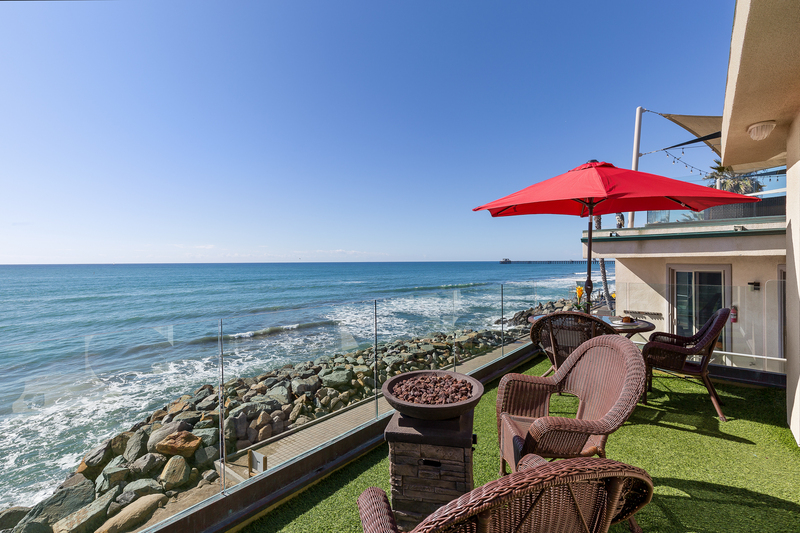 This property in Oceanside seems to have the best of both worlds, where we can easily get to the beach by crossing a small access road without autos. The beach itself is clean, and has lifeguard coverage. What is best is that the surf is a rolling wave that does not crash on shore. The smaller children are very safe with a gentle slope into the water for quite a distance, so that they can walk in the shallow water without the parents fearing for their safety from sudden drop offs or crashing waves. 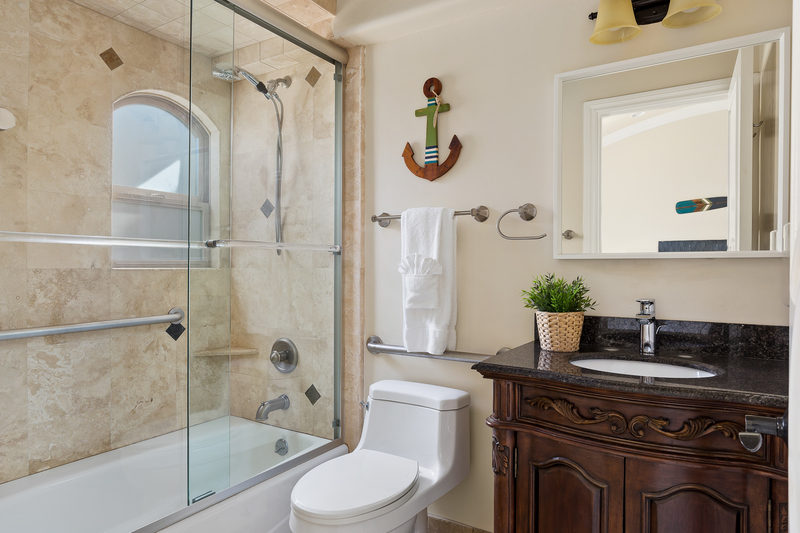 It's a bonus to have a new beach house with a bath for every room. We liked it so much that we just referred one of our friends. I think that says it all, right? 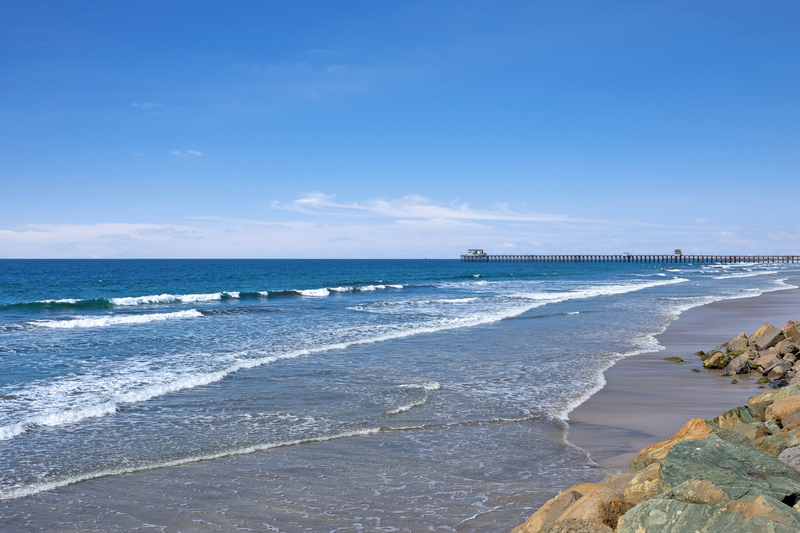 We recently spent 2 glorious weeks in Oceanside. A total of 9 (4 from No. Cal. and 5 from Virginia) stayed in the 5 bed/5 ba unit. 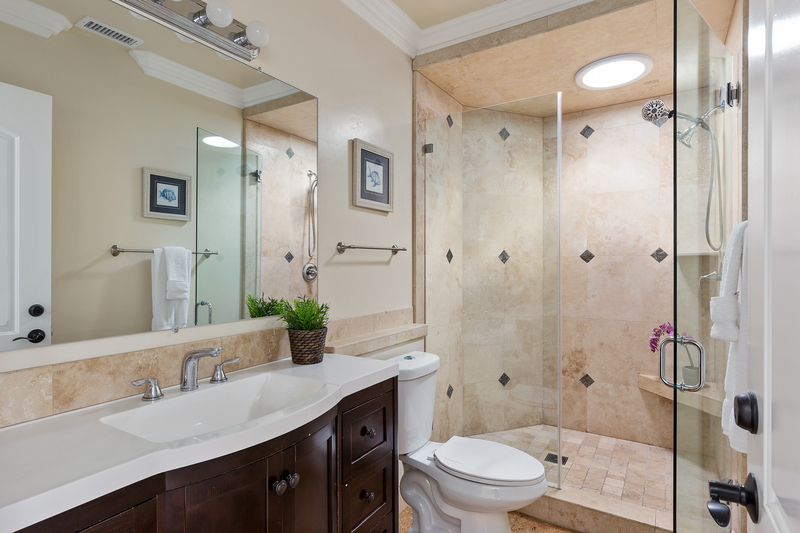 The unit was beautiful, clean and had many higher-end finishes. It allowed all of us to spend time together, but also afforded areas in which to get away, either to the roof-top deck with beautiful views or the upper deck with hot tub. The beach was mere steps away, warm water and waves perfect for boogie-boarding/surfing. 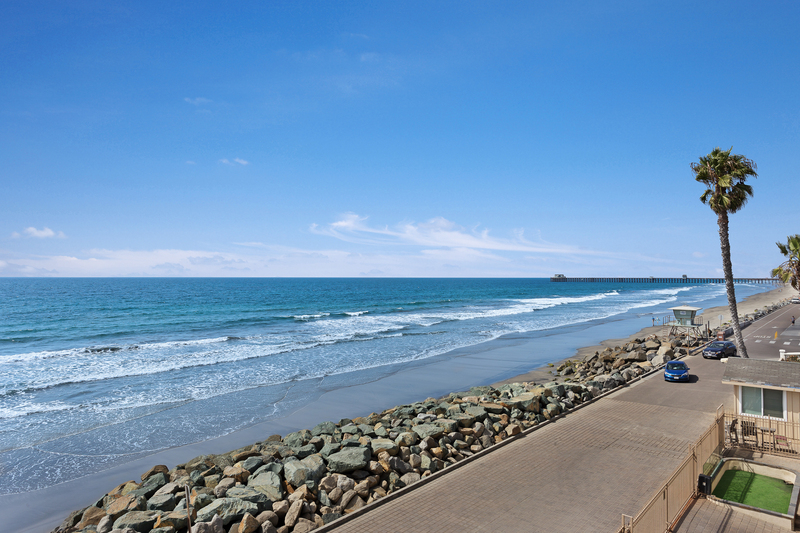 A short walk to excellent train transportation for trips to San Diego and points in between. I highly recommend this property. For many years I have longed to take my staff to the beach for a staff retreat. I am so glad I found you. 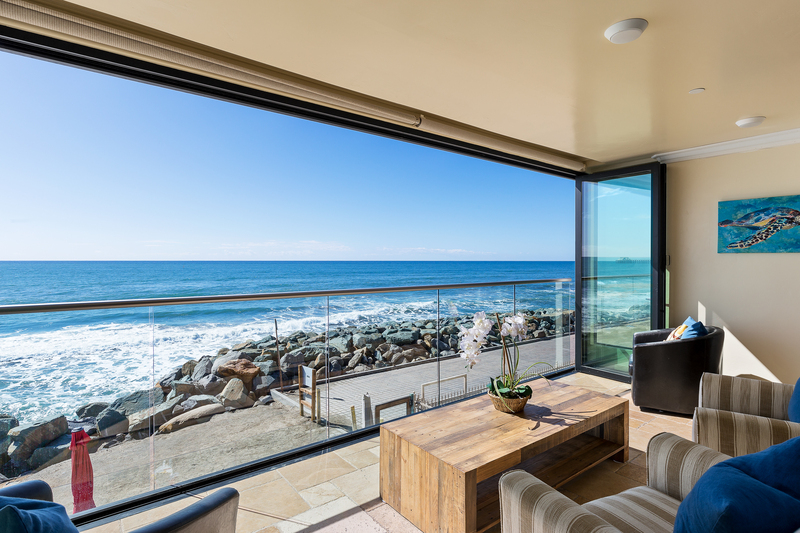 This beach home is a dream! My staff has informed me that this is the best location, ever, for our staff retreat! Please tell the owners "thanks" for sharing their lovely home with us! The management company is very responsive and courteous. We already have referred other potential guests and reserved for next year. 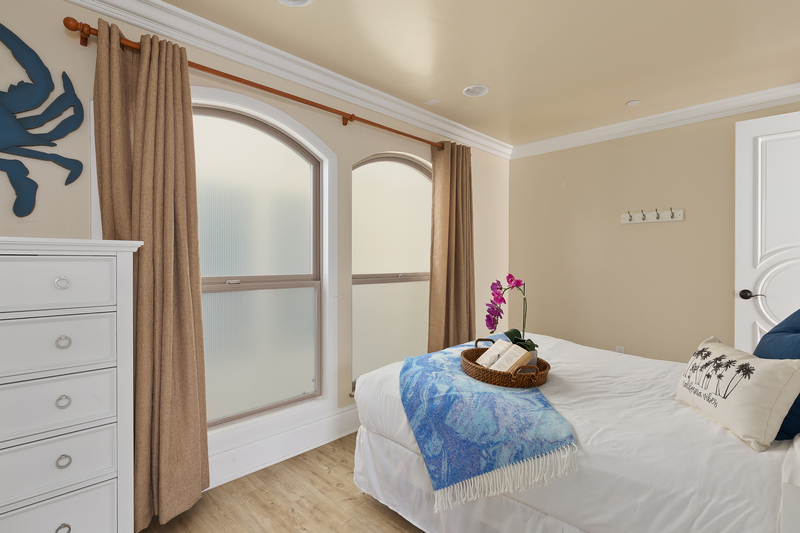 Good location and setup for extended families with kids and grandkids of all ages. We had a wonderful time and the condo could not have been more perfect. 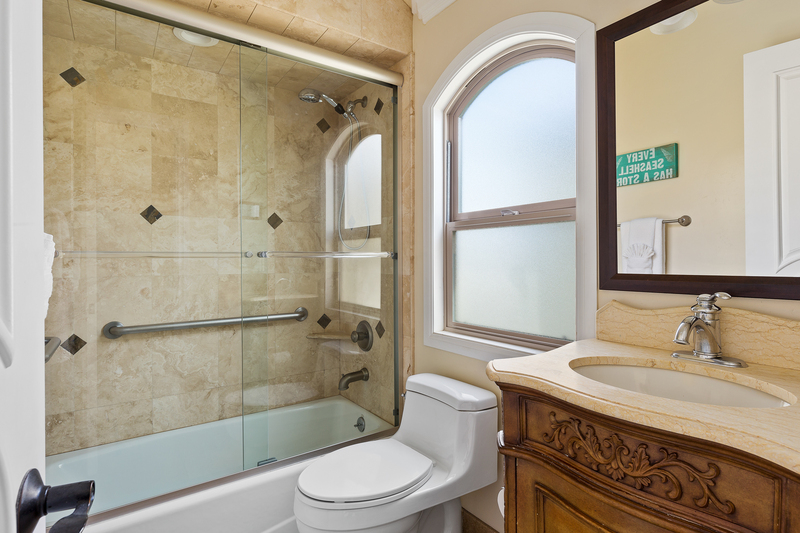 It's beautifully appointed and the view is amazing! The pictures of the kids standing in front of the windows look like they're standing right on the beach. The house was fully stocked and very clean. The layout is great and we could watch the kids playing on the beach while we were inside, which was nice. The only negative was how far Oceanside is from things in San Diego - and Oceanside itself is not very nice. But the location of the condo itself is great - right on the beach and the dolphins gave us a show almost every day. Great property and we would definitely recommend it and perhaps stay there again. Only real issue was the high speed internet connection did not work consistently. We did call PM to address, but the issue was never fully resolved. Great place to take either your family or business partners! 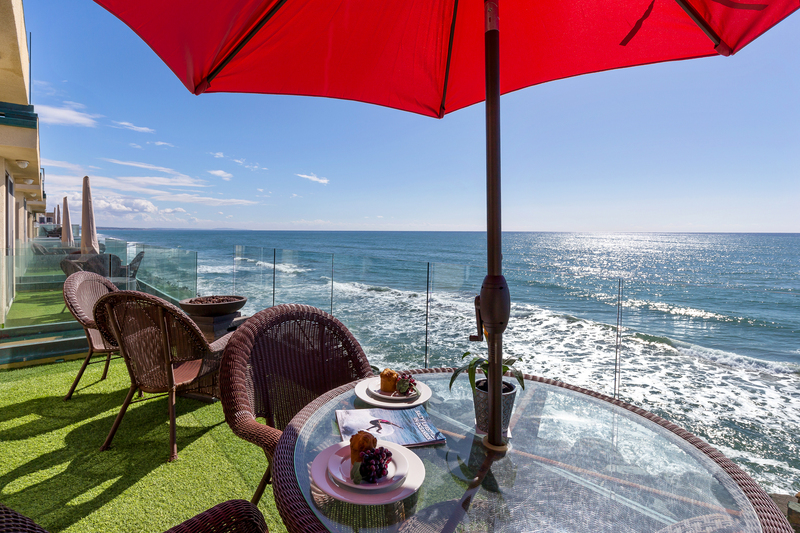 Great location if you are looking to get away from San Diego. The place was very clean and has the latest cool stuff like a plasma tv. The home was more then perfect. Great support from the staff. - The SPA temp control were broken. We did not want to call as it was late on dec 24th. A Day and Night in Paradise! I was so pleased to share this wonderful home with my grandchildren. My grandson asked me "Gramma, are we in Hawaii?" And when I said no, he asked me "What country is this?" Thanks again for offering such a beatiful home! Our stay was relaxing and peaceful. The house was lovely and comfortable. The only downside was that our neighbors in 813A and below us did not observe the no noise after 10pm rule.